As the cost of dying in the UK becomes more expensive, funeral companies are offering sustainable options that are both economical and innovative to address the increasing shortage of land for graveyards. More than 75 per cent of Britons choose to be cremated, but this still affects the available space at cemeteries. Several local authorities expect to have no vacancies by 2033. While some prepaid funerals may include cremation as an option, people should consider the environmental impact of this process particularly on the ozone layer. Cremation is popular among Britons since it reduces the cost of their funeral expenses, especially the need to find a suitable final resting place. Resomation, or more commonly known as water cremation, has been used in Canada and the U.S. This involves the decomposition of the cadaver with an alkaline solution of potassium hydroxide. It isn’t strong enough to eliminate skeletal parts, which are then pulverised to complete the cremation process. Despite having more than 280 crematoria in the UK, the eco-friendly alternative is yet to start with no recorded water cremation in the country as of April 2018. If you remain decided to hold a burial, your choice of casket will be important to know if it is good for the environment. Modern coffins, such as those with chemical treatments, aren’t quite suitable for decomposing beneath the soil. This would prevent a solution for the lack of graveyard space, which would require digging up a grave and burying it deeper to make way for a new coffin. Another solution involves choosing a different place than the traditional grave site. The emergence of so-called green cemeteries can be found in forests and woodland areas. 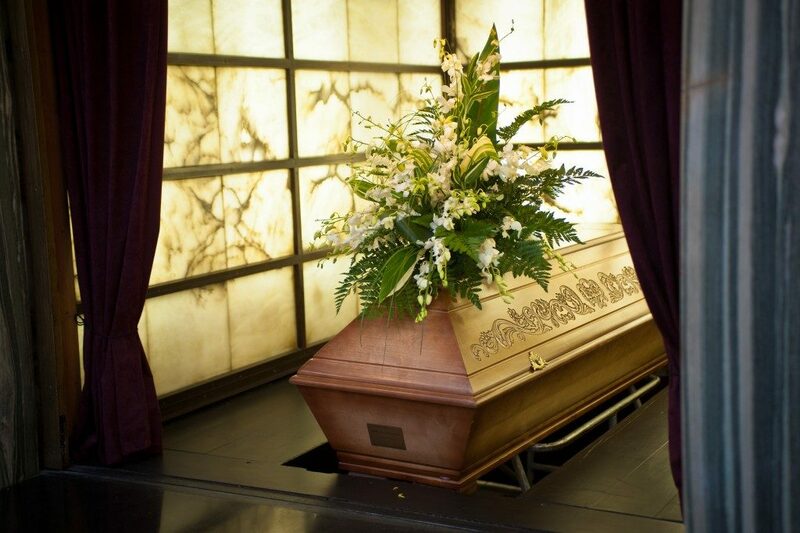 Some companies have developed sustainable models of caskets to match the environment. A poplar-wood model costs around £300 in the UK when ordered from overseas. This may reduce your burial expenses, which already costs almost £4,100 on average in the country. Whether you plan to be cremated or buried underground, having a prepaid funeral will save you from the high cost. A direct cremation with a simple casket, the collection of the body, and the return of ashes may cost an average of £1,600. A mid-range price for a cremation of around £3,300 will provide you with the same services, only with an additional hearse service and a simple service. Those who want to add an elaborate ceremony with the services of a funeral director should expect to spend around £4,260 on average. Take note that prices may increase, so buying a prepaid plan lets you lock in the prices today. It can be difficult to think about the environment when your loved ones are grieving about your loss, which means having an eco-friendly burial or cremation would be the last thing on their minds. A prepaid funeral plan will solve this problem, giving peace of mind to your family and relieving them from the burden of paying costly expenses in the future.